Abbas Bigdeli received his bachelor of Electronics Engineering in 1995 from Department of Electrical Engineering, Amir Kabir University of Technology, Tehran, Iran. He started his postgraduate study at James Cook University, Australia in 1996. He concluded his PhD research in 2000 when he moved to Auckland, New Zealand to join the faculty of Engineering at the University of Auckland. During his tenure at Auckland University, Abbas was an active member of High Performance Embedded Systems and Signal processing research groups at the Department of Electrical and Computer Engineering. In February 2006 he moved back to Australia to join National ICT Australia, Queensland Lab as a researcher in the Safeguarding Australia Program—Smart Sensors Project. Abbas has been actively involved in many industrial projects in collaboration with various companies in New Zealand, Australia and USA. 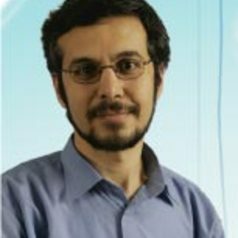 He has more than 6 years experience in consultancy, scientific research and technology leadership in the areas of digital signal and image processing, computer architecture, and information security. He has designed a number of innovative high performance embedded systems including an AES grade Security System for Wireless LAN and the first portable real-time face recognition system. Abbas is a member of IEEE. He has published over 40 papers in journals, book chapters and refereed international conferences. He has invented 3 patents in the areas of information security and computer vision. He has been acting as a technical reviewer for several journals and conferences. These include Journal of Microprocessors and Microsystems, European Signal Processing Association Journals, Australian Journal of research and practice in IT, as well as Conferences such as FPL.